My Mummy got me my own Hudl tablet. 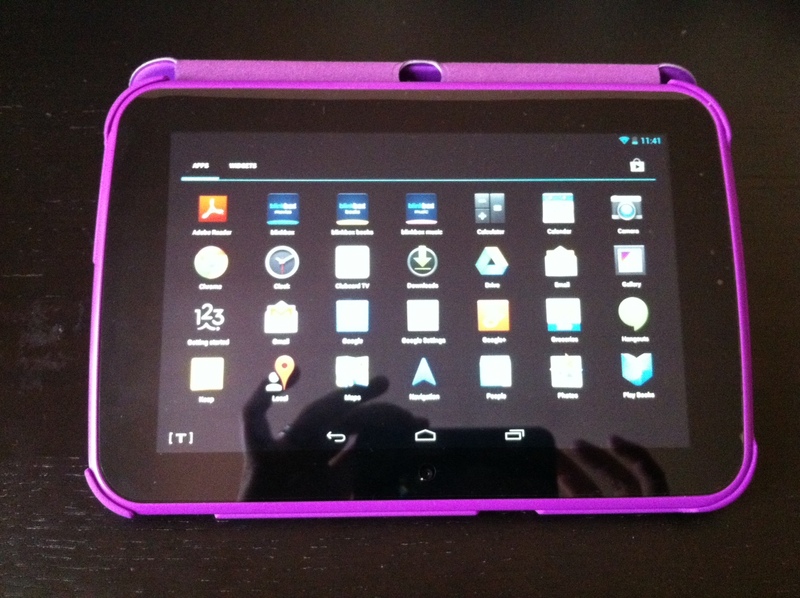 My Mummy likes the tablet because it was free, but I wanted to tell you why I like it. I like the colour. 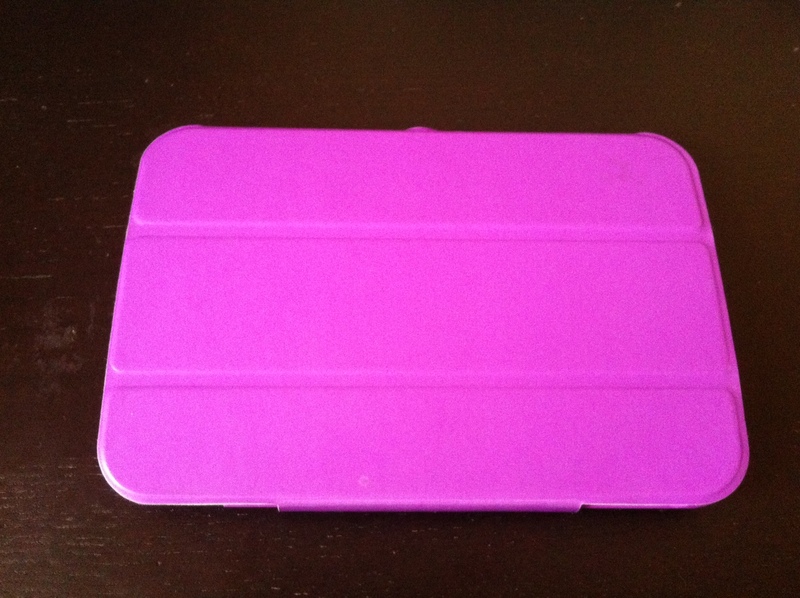 It is purple and came with a purple cover to keep it safe. I like that it has a kiddie mode which is a little app for kids where they can listen to people read books online, they can draw pictures in the art feature and watch videos on the You Tube feature. All this stuff is safe for kids to use and I feel safe and confident using it. 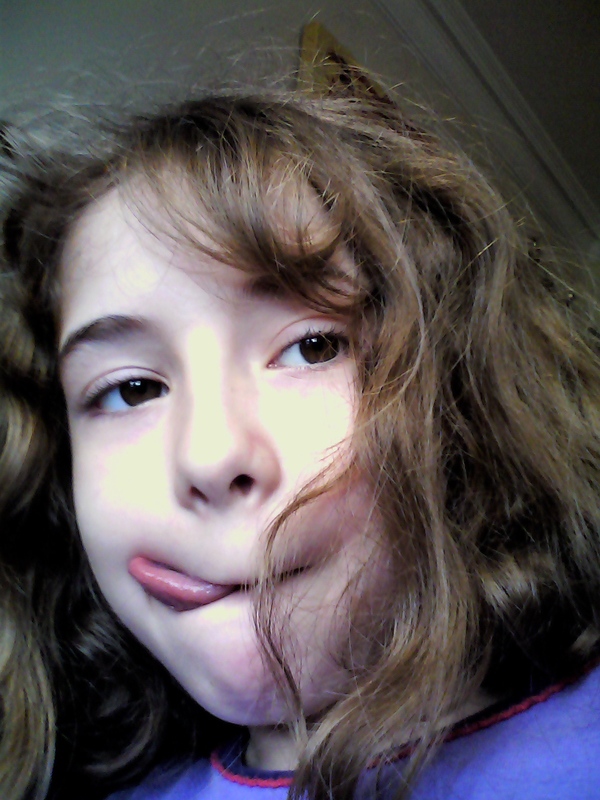 I also like that you can take photos on the tablet with the camera icon. It swivels round so that I can take a picture of myself! I like using the interactive Google Speaking icon to ask Google things and then it will tell me, not in type, but in words! 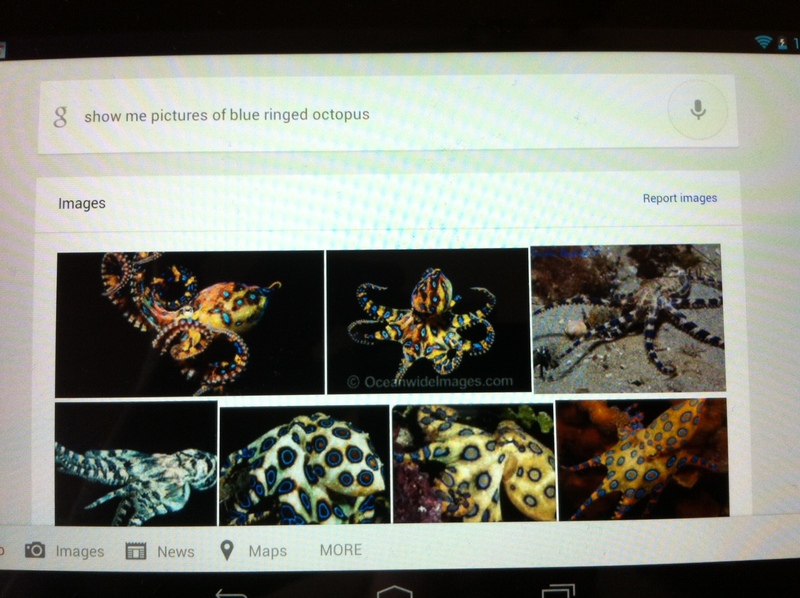 I asked it to “Show me pictures of Blue-Ringed Octopuses” (as I want to be a Marine Biologist), and this is what it showed me! “What cuttlefish eat?” You may be surprised! I like to play games on my tablet. My favourite game is Minion Rush. I can now begin to write my blog on my tablet too. This entry was posted in Product Review and tagged computers, electronics, hudl, tablets, tesco. Bookmark the permalink.